A memorial honouring the first Icelandic settlers in Hekla in 1873. Icelandic historian Jónas Þór will be opening a new website next year dedicated to the Icelanders who moved to Canada and North America. "On the website people will be able to follow the individual journeys of Icelanders, where they went, what they did." Þór has been collecting data in recent years and has set up a Karolina Fund page to fund the project. It's been 40 years since Jónas Þór first became interested in the story of the Western Icelanders or "Vestur Íslendingar". "I could have written a series of ten books about this but I felt that a webpage would be more accessible. The idea is to put a map of Iceland on the page like a tree with branches and in the top two branches there will be maps of Canada and the United States." If people click on Iceland all the different counties will pop up as they existed in the 19th and 20th centuries, then the names of farms and towns and then the name of each person with detailed information. 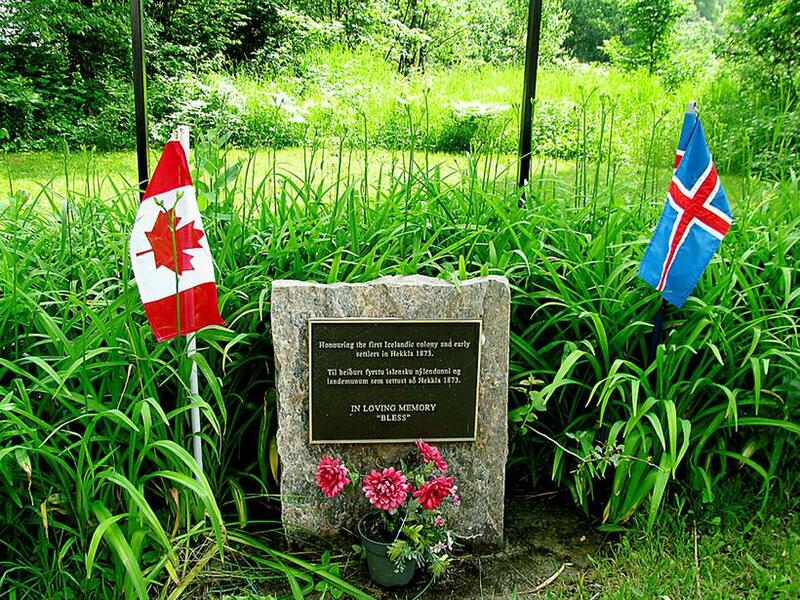 When you click on the USA or Canada you will see names of states, names of places where the Icelanders settled and further details in both text and photographs. "If you want information on a Jón Jónsson from Skagafjörður you click on his name and then follow his journey west across the ocean. People are much more interested in what happened to individuals than distant relatives. I now have a database of over 20 thousand names from 1854 to 1914," he explains. Jónas Þór aims to collect 10 thousand Euros to begin work on the webpage, which will be in both English and Icelandic and he has 40 days to reach his goal on Karolina Fund. 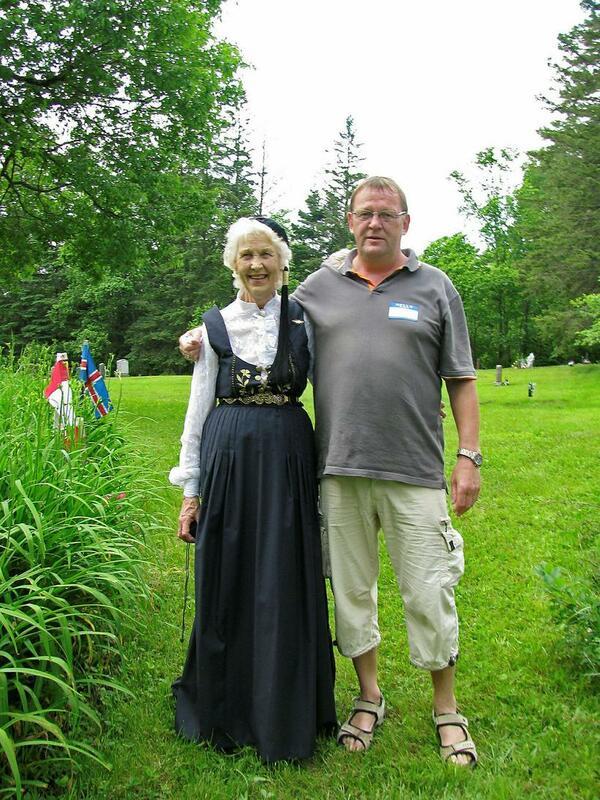 Jónas and Edith Smith at the Icelandic colony north of Rosseau in Ontario. Edith is the descendant of Jakob Einarsson from North Iceland and you can find out all about the family on the new website .